TUPELO, Miss. — A well-known Christian organization that regularly alerts the public to moral matters of concern is urging Christians to reject a new stamp released by the United States Postal Service in honor of the first homosexual to hold government office. 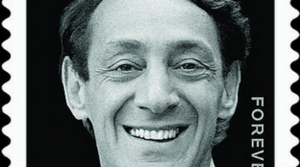 The American Family Association (AFA), headquartered in Tupelo, Mississippi, is asking Christians nationwide to avoid purchasing the stamp, which features homosexual icon Harvey Milk. The Postal Service recently unveiled the stamp through a national press release, and also held a “first day of issue” ceremony at the White House, as well as a dedication ceremony in San Francisco. “Harvey Milk was a visionary leader who became one of the first openly gay elected officials in the U.S. when he won a seat on the San Francisco Board of Supervisors in 1977,” the Postal Service wrote in its announcement regarding the new stamp. Milk was assassinated a year after taking office by a fellow lawmaker. He was posthumously awarded the Medal of Freedom by Barack Obama in 2009. Self-described drag queen Nicole Murray Ramirez had lobbied the government to place Milk on a stamp for the past seven years, with backing from the National Gay and Lesbian Task Force (NGLTF) and the Harvey Milk Foundation. Ramirez attended the unveiling ceremony at the White House last month, along with a representative of the International Imperial Court System, among others. But some state that Milk’s legacy was not one of honor, but of dishonor, asserting that Milk was not only was a proponent of homosexuality, but also pedophilia. The organization points to Milk’s biography, The Mayor of Castro Street, written by fellow homosexual activist Randy Shilts, for documentation of Milk’s reputation. Due to concerns over the stamp and the history behind it, AFA is now asking Christians nationwide to avoid purchasing the stamp at their local post office, and to reject any mail that might bear Milk’s image.